» Blog Archive » William Wayne “Bill” Cunningham, Jr.
William Wayne “Bill” Cunningham, Jr.
William Wayne “Bill” Cunningham, Jr., age 71 of Lonoke, died July 25, 2017. He was born to Marie and William , Sr. and was the big brother to Joe, Thomas, Jeanne and Richard. He married Charlene Cunningham on September 2, 1967 and together raised three amazing men: Brian (Jill), Rod (Gwyn) and Josh (Leah). His boys gave him his greatest treasure – Terrrah, Miles, Carson, Jackson, Nicholas and Addison, his grandchildren. Bill spent many years farming in Lonoke County. 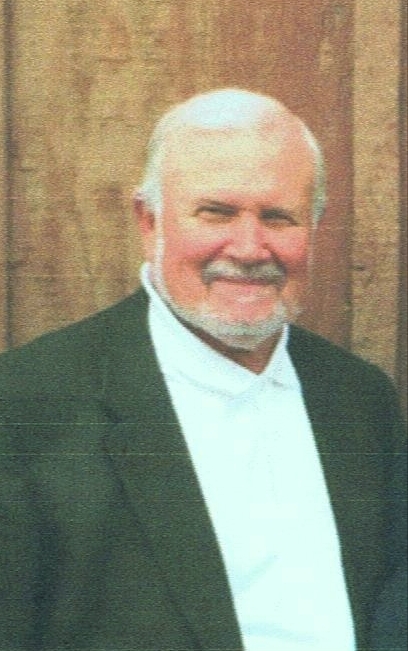 He served on the Riceland Foods board of directors in Stuttgart from 1976 to 1984 and was elected Lonoke County farm family of the year in 1980. He was appointed to the Arkansas Soybean Promotion Board by Governor Bill Clinton from 1979 to 1981. He then created Lonoke Lawn and Garden where he could be seen mowing, weed eating or fixing sprinkler systems in his signature straw hat and cigar. He served on the Arkansas Nurseryman’s Association Board of Directors from 1993 to 1994, and in 1994 was president of the Lonoke Chamber of Commerce. Later in his life he could be found in the shade supervising his kids and grandkids as he passed along his vast knowledge of the lawn care business and life. He had a deep love for the Rocky Mountains where he would head each fall to hunt Elk. In his later years he served as camp cook for Doug Flowers Colorado Outfitters. He was also the camp cook for Double D Duck Club and the Arkansas Waterfowl Association Youth Camp and hunts. He made many friends across the country through his use of the culinary arts aka biscuits and gravy. Bill was a longtime member of Beech Creek deer camp in Bradley County where he served as president, secretary, and treasurer. He was a supporter of the Carlisle Bison and proud holder of a “golden years sports pass”. He loved watching his kids and grandkids play football on the same field he was on in his younger days. He was ordained a deacon in the Catholic church in 1986 and touched lives in the many baptisms, weddings, and funeral he conducted over the years. Bill was a man of God by vocation, but he loved the feel of a new deck of cards when he was at the casino playing Texas hold ‘em. In lieu of flowers the family requests that memorials be made to the Arkansas Waterfowl Association building fund, P.O. Box 661, Lonoke, Arkansas 72086. Visitation will be at from 6:00 to 7:00 P.M., Friday, July 28, at St. Rose Catholic Church in Carlisle followed by a prayer service at 7:00 in the church. The mass of Christian Burial will be 11:00 A.M., Saturday, July 29, 2017 at St. Rose Catholic Church in Carlisle. Thinking of you all in this difficult time. Mr. Bill was a great man and will be missed. Praying for comfort. I had the pleasure of attending a funeral that Bill conducted.No one could have done a better job or given the family anymore comfort. Josh you and your family are in my prayers. I was honored to know Bill only for a short time in life, but found him one of the kindest hearted men I’v ever encountered. He had a love of the outdoors that he enjoyed sharing with kids and grown ups as well. It was an honor to call him a friend! He will be greatly missed!! I am so saddened to hear about Mr Bill’s passing. He was such a great man. Praying for you all and your family during this very difficult time. Debbie and I send you our condolences and love. Bill was a super fella and I’m glad I got to know him. We will be thinking about you in the days ahead. Blessings to you all. Ms. Charlene, Brian, Rod and Josh – Drew and I are so, so very sorry for the loss of Mr. Bill. He touched our lives in so many ways through the preparation for our wedding, our wedding, the baptisms of our girls, Lauren’s First Communion, countless Sundays at the church and hall at potlucks and on and on and for this, we are so very thankful. He was an amazing man! I am sure Mamaw is giving him hugs in Heaven and is asking him what he would like to eat – and I bet it is chicken and dressing! Love to you all! Our hearts were deeply saddened upon hearing that Bill had passed away. He was one of the most respected men in Lonoke County. May God’s comfort and peace surpass all understanding. The Cunningham family is like beautiful fabric that encompasses every person in it. But all of that fabric needs strong seams to hold it together. Bill was a seam. We send our love and prayers to Charlene and family. You guys are loved!! Bill was always proud of his family and quick to brag on his boys and grandchildren. He will be missed but remembered. What a guy! He was a man of endless stories and what ever the story Bill would tell…. was always fact checked with Charlene. Now it will be up to the Lord to keep him straight…good luck with that. Charlene and family – please accept our heartfelt sympathy on the loss of your dear Bill, dad, and granddad. The picture of Bill in the obituary column in the newspaper brought many pleasant memories – especially his warm, loving and knowing smile. He has, and together you have touched many lives. We regret inability to be with you this evening or tomorrow and pray a happy eternal rest be granted unto Bill, O Lord, and may God bless you and yours, and may you be consoled.